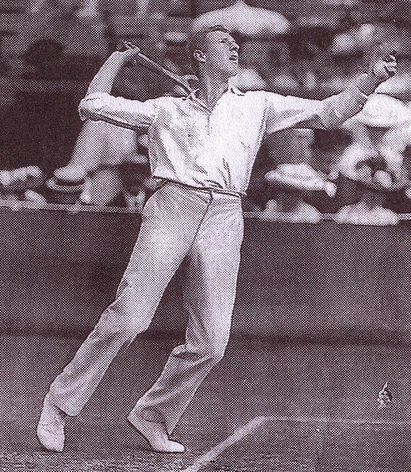 Former Wimbledon Tennis Champion, 1907 (Doubles), 1908 (Doubles), 1910 (Singles & Doubles), 1911 (Singles), 1912 (Singles) & 1913 (Singles). Educated New Zealand; Trinity College, Cambridge, B.A. Called to the English Bar, Inner Temple, 1906;qualified Barrister and Solicitor of Supreme Court of New Zealand, 1909. A member of The All England Lawn Tennis Club, Queen's. United Kingdom Private 2405 Suffolk Regiment 07/06/1915 II. D. 40. United Kingdom Second Lieutenant The Loyal North Lancashire Regiment 24/03/1915Age: 21 II. E. 2. United Kingdom Private 16467 Grenadier Guards 24/12/1914 II. C. 36. United Kingdom Private 1337 Suffolk Regiment 04/06/1915Age: 22 II. E. 41. United Kingdom Private 3555 Seaforth Highlanders 23/05/1915Age: 19 I. A. 23. United Kingdom Private 20525 Cheshire Regiment 27/04/1916 I. E. 23. United Kingdom Private 2402 Sherwood Foresters (Notts and Derby Regiment) 07/11/1915 II. F. 1. United Kingdom Private 260356 Worcestershire Regiment 20/09/1918Age: 29 I. E. 1. United Kingdom Private 13366 Middlesex Regiment 15/12/1914Age: 21 II. F. 22. United Kingdom Private 12477 North Staffordshire Regiment 10/10/1915 I. C. 15. United Kingdom Private 14237 The King's (Liverpool Regiment) 08/10/1915 II. F. 45. United Kingdom Private 1819 Black Watch (Royal Highlanders) 10/03/1915Age: 19 II A. 41. United Kingdom Private 16124 Lancashire Fusiliers 10/06/1916 I. F. 6. United Kingdom Captain Royal Berkshire Regiment 15/05/1915 I. A. 5. United Kingdom Private 2946 The Loyal North Lancashire Regiment 30/04/1915 II. E. 10. United Kingdom Corporal 42415 Royal Horse Artillery 14/05/1915 II. F. 23. United Kingdom Private 13037 North Staffordshire Regiment 08/10/1915Age: 23 I. C. 1. United Kingdom Lance Corporal 17695 Wiltshire Regiment 21/01/1916Age: 27 I. E. 21. United Kingdom Lance Corporal 11527 Gloucestershire Regiment 14/10/1915Age: 24 I. E. 15. United Kingdom Private 9041 Seaforth Highlanders 22/04/1915 II. E. 45. United Kingdom Private 16787 Lancashire Fusiliers 28/05/1916 I. F. 1. United Kingdom Private 15358 Lancashire Fusiliers 12/06/1916Age: 27 I. F. 9. United Kingdom Private 18690 The Loyal North Lancashire Regiment 28/03/1915 II. F. 10. United Kingdom Private 11874 Worcestershire Regiment 14/03/1915Age: 24 II. C. 37. United Kingdom Private 1683 London Regiment (Royal Fusiliers) 22/04/1915 I. A. 4. United Kingdom Serjeant 7584 Coldstream Guards 09/05/1915 I. D. 15. United Kingdom Private 26759 Devonshire Regiment 20/12/1916 I. F. 19. United Kingdom Private 2789 Black Watch (Royal Highlanders) 06/05/1915 II. E. 9. United Kingdom Private 2304 London Regiment (London Scottish) 09/05/1915Age: 23 I. D. 15. United Kingdom Private 9665 Royal Berkshire Regiment 16/05/1915 II. F. 4. United Kingdom Private 1892 Argyll and Sutherland Highlanders 23/05/1915 I. A. 22. United Kingdom Private 2164 Argyll and Sutherland Highlanders 23/05/1915 I. A. 22. United Kingdom Private 14049 Lancashire Fusiliers 13/03/1916 I. C. 19. United Kingdom Private 9047 Royal Inniskilling Fusiliers 15/05/1915 II. D. 31. United Kingdom Private 14478 Lancashire Fusiliers 13/03/1916 I. B. 20. United Kingdom Private 15168 South Wales Borderers 19/04/1915 I. C. 12. United Kingdom Rifleman R/6443 King's Royal Rifle Corps 15/05/1915 II. E. 8. United Kingdom Private 9677 South Staffordshire Regiment 18/05/1915Age: 21 II. D. 25. United Kingdom Private 11726 North Staffordshire Regiment 08/10/1915 I. C. 2. United Kingdom Private 2030 The King's (Liverpool Regiment) 16/05/1915 II. A. 22. United Kingdom Private 13808 Gloucestershire Regiment 19/10/1915 I. E. 16. United Kingdom Private 19030 Royal Welsh Fusiliers 07/02/1916Age: 22 I. D. 21. United Kingdom Private G/61845 Royal Fusiliers 24/12/1916 I. F. 22. United Kingdom Corporal 9195 The Queen's (Royal West Surrey Regiment) 28/07/1915Age: 24 I. B. 18. United Kingdom Private 10956 Leicestershire Regiment 01/11/1915Age: 22 I. D. 17. United Kingdom Private 14067 Lancashire Fusiliers 27/05/1916 I. D. 26. United Kingdom Captain Royal Berkshire Regiment 16/05/1915Age: 41 I. A. 16. United Kingdom Rifleman 11087 King's Royal Rifle Corps 15/05/1915Age: 22 II. E. 5. United Kingdom Private 15973 Lancashire Fusiliers 27/05/1916Age: 26 I. E. 27. United Kingdom Corporal 15339 Lancashire Fusiliers 12/03/1916 I. B. 19. United Kingdom Lance Corporal 8385 Northamptonshire Regiment 10/05/1915 I. D. 15. 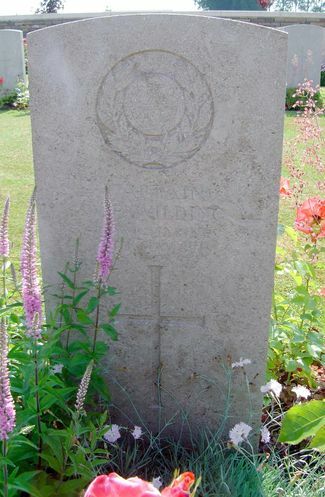 United Kingdom Private 2600 Lincolnshire Regiment 20/11/1915Age: 18 Edgware Road Cem. Mem. 1. United Kingdom Private 12288 Coldstream Guards 13/04/1915 I. C. 10. United Kingdom Private 4276 The Queen's (Royal West Surrey Regiment) 19/05/1915 I. B. 16. United Kingdom Private 11623 The King's (Liverpool Regiment) 28/05/1915 II. D. 39. United Kingdom Second Lieutenant Worcestershire Regiment 18/09/1918Age: 20 I. D. 4. United Kingdom Private 1889 Argyll and Sutherland Highlanders 23/05/1915 I. A. 22. United Kingdom Private 2143 Black Watch (Royal Highlanders) 09/01/1915Age: 23 II. F. 13. United Kingdom Private PS/6849 Royal Fusiliers 25/12/1916 I. F. 23. United Kingdom Private 1896 Sherwood Foresters (Notts and Derby Regiment) 11/11/1915 I. D. 18. United Kingdom Private 29641 Cheshire Regiment 25/04/1916 I. B. 24. United Kingdom Lieutenant Lancashire Fusiliers 27/05/1916Age: 25 I. E. 26. United Kingdom Private 3296 Argyll and Sutherland Highlanders 23/05/1915Age: 20 I. A. 20. United Kingdom Captain Black Watch (Royal Highlanders) 09/05/1915Age: 21 II. F. 6. Indian Lieutenant Colonel 1st Queen Victoria's Own Corps of Guides (F.F.) (Lumsden's) 12/03/1915Age: 47 II. F. 19. United Kingdom Private S/15373 Cameron Highlanders 03/04/1915 I. B. 5. United Kingdom Private 27650 Devonshire Regiment 20/12/1916Age: 34 I. F. 20. United Kingdom Driver 85992 Royal Field Artillery 30/01/1917 I. F. 24. United Kingdom Serjeant 1687 The Loyal North Lancashire Regiment 26/03/1915Age: 26 II. F. 9. United Kingdom Private 7958 Highland Light Infantry 16/06/1915 II. D. 30. United Kingdom Private 6482 Coldstream Guards 12/04/1915Age: 29 I. C. 8. United Kingdom Private 13884 Grenadier Guards 15/01/1915Age: 35 I. A. 10. United Kingdom Gunner 82771 Royal Field Artillery 30/01/1917 I. E. 28. United Kingdom Private 3/2855 Black Watch (Royal Highlanders) 14/03/1915 I. B. 9. United Kingdom Lance Corporal 17272 Gloucestershire Regiment 19/10/1915 I. D. 16. United Kingdom Serjeant 17915 Royal Horse Artillery 14/05/1915 II. F. 24. United Kingdom Sapper 21224 Royal Engineers 31/01/1915 II. F. 30. United Kingdom Lance Corporal L/7668 Middlesex Regiment 14/12/1914 II. F. 17. United Kingdom Private 14374 Middlesex Regiment 19/12/1914Age: 21 II. F. 15. United Kingdom Acting Bombardier 18015 Royal Garrison Artillery 11/05/1915 I. D. 13. United Kingdom Sapper 2378 Royal Engineers 09/06/1916 I. F. 5. United Kingdom Private 16146 Lancashire Fusiliers 30/05/1916Age: 22 I. F. 2. United Kingdom Corporal 9443 The Queen's (Royal West Surrey Regiment) 28/07/1915Age: 26 I. B. 17. United Kingdom Private 2798 Argyll and Sutherland Highlanders 23/05/1915 I. A. 22. United Kingdom Private 26534 Devonshire Regiment 20/12/1916Age: 24 I. F. 16. United Kingdom Lieutenant King's Royal Rifle Corps 16/05/1915Age: 20 I. E. 9. United Kingdom Private 1103 Royal Sussex Regiment 09/05/1915Age: 21 I. D. 15. United Kingdom Private 12246 Gloucestershire Regiment 13/12/1915 I. D. 20. United Kingdom Private 16297 Lancashire Fusiliers 27/05/1916 I. E. 25. United Kingdom Corporal 12678 North Staffordshire Regiment 18/12/1915 I. E. 22. United Kingdom Private 28388 Gloucestershire Regiment 06/12/1916Age: 19 I. F. 13. United Kingdom Private 8695 Worcestershire Regiment 16/05/1915 II. D. 24. United Kingdom Private 201451 Worcestershire Regiment 20/09/1918 I. E. 2. United Kingdom Private 3287 South Staffordshire Regiment 23/11/1915 II. D. 43. United Kingdom Private 11176 North Staffordshire Regiment 10/10/1915 I. D. 5. United Kingdom Private 4210 Leicestershire Regiment 15/11/1915Age: 20 I. E. 19. United Kingdom Private 23076 Cheshire Regiment 01/05/1916Age: 18 I. D. 24. United Kingdom Private 11885 The King's (Liverpool Regiment) 01/08/1915 II. F 43. United Kingdom Second Lieutenant Royal Welsh Fusiliers 09/05/1915Age: 39 II. D. 33. United Kingdom Private 4676 Irish Guards 21/01/1915 I. A. 12. United Kingdom Lance Corporal 10599 Seaforth Highlanders 03/11/1915 I. E. 18. United Kingdom Lance Corporal 21845 Cheshire Regiment 27/04/1916 I. D. 22. United Kingdom Rifleman 6/580 King's Royal Rifle Corps 28/04/1915Age: 20 I. C. 9. United Kingdom Private 9575 The King's (Liverpool Regiment) 17/10/1915 II. E. 55. United Kingdom Sapper 13730 Royal Engineers 16/05/1915 II. D. 26. United Kingdom Serjeant 10798 The King's (Liverpool Regiment) 14/05/1915 I. D. 7. United Kingdom Private 2965 The Loyal North Lancashire Regiment 29/03/1915Age: 29 II. E. 12. United Kingdom Bombardier 29568 Royal Field Artillery 06/02/1915 II. F. 29. United Kingdom Lance Corporal 7848 Grenadier Guards 10/01/1915Age: 31 I. A. 11. United Kingdom Private 15280 North Staffordshire Regiment 08/10/1915Age: 17 I. B. 4. United Kingdom Private 15332 North Staffordshire Regiment 08/10/1915Age: 19 I. B. 3. United Kingdom Second Lieutenant The Queen's (Royal West Surrey Regiment) 18/05/1915 I. B. 15. United Kingdom Private 1859 Worcestershire Regiment 06/06/1916 I. F. 4. United Kingdom Serjeant L/4896 Middlesex Regiment 15/12/1914 II. F. 16. United Kingdom Private 3525 Royal Inniskilling Fusiliers 14/05/1915Age: 22 II. D. 34. United Kingdom Private 17017 Grenadier Guards 10/01/1915 I. A. 9. United Kingdom Private 10354 Sherwood Foresters (Notts and Derby Regiment) 26/12/1914 II. F. 25. United Kingdom Private 4088 Irish Guards 09/01/1915 I. A. 14. United Kingdom Private 22252 Lancashire Fusiliers 30/05/1916 I. F. 3. United Kingdom Private 7593 Highland Light Infantry 14/03/1915 I. B. 10. United Kingdom Bombardier 52261 Royal Garrison Artillery 30/01/1917 I. F. 25. United Kingdom Private 2425 Black Watch (Royal Highlanders) 29/01/1915 II. F. 20. United Kingdom Private 29634 Cheshire Regiment 03/05/1916Age: 28 I. D. 25. United Kingdom Private 1138 Leicestershire Regiment 20/11/1915 II. E. 3. United Kingdom Private 4774 Irish Guards 10/01/1915 I. A. 6. United Kingdom Private 2193 Royal Sussex Regiment 10/05/1915Age: 39 II. F. 2. United Kingdom Private 8875 Royal Welsh Fusiliers 13/03/1915Age: 29 II. B. 11. United Kingdom Serjeant 8142 Royal Warwickshire Regiment 25/09/1918Age: 37 I. D. 1. United Kingdom Private G/61901 Royal Fusiliers 23/12/1916 I. F. 21. United Kingdom Private 1114 Argyll and Sutherland Highlanders 23/05/1915Age: 32 I. A. 22. United Kingdom Private S/10735 Cameron Highlanders 03/04/1915 I. C. 4. United Kingdom Corporal 8855 Cameron Highlanders 01/04/1915Age: 23 I. B. 7. United Kingdom Private 6061 South Staffordshire Regiment 18/05/1915Age: 33 I. A. 7. United Kingdom Gunner L/16837 Royal Field Artillery 01/09/1916 I. F. 12. United Kingdom Private 14549 Lancashire Fusiliers 12/03/1916Age: 25 I. C. 18. United Kingdom Private 3716 The Queen's (Royal West Surrey Regiment) 28/07/1915 I. C. 14. United Kingdom Private 2800 Royal Inniskilling Fusiliers 14/05/1915 II. D. 21. United Kingdom Private 1008 Black Watch (Royal Highlanders) 21/02/1915Age: 21 II. F. 26. United Kingdom Private 11766 Highland Light Infantry 12/06/1915 II. D. 29. United Kingdom Gunner 20872 Royal Field Artillery 25/09/1915 II. E. 48. United Kingdom Private 10993 Gordon Highlanders 23/07/1915Age: 36 I. C. 13. United Kingdom Lance Serjeant 20237 Cheshire Regiment 21/04/1916Age: 32 I. B. 23. United Kingdom Private 1818 Argyll and Sutherland Highlanders 23/05/1915 I. A. 19. United Kingdom Private S/15294 Cameron Highlanders 04/04/1915Age: 20 I. C. 6. United Kingdom Private 2044 Argyll and Sutherland Highlanders 23/05/1915Age: 19 I. A. 22. United Kingdom Private 11442 The Loyal North Lancashire Regiment 24/03/1915 II. E. 11. United Kingdom Private 10514 Royal Inniskilling Fusiliers 14/05/1915 II. D. 32. United Kingdom Serjeant 361 Argyll and Sutherland Highlanders 23/05/1915Age: 38 I. A. 18. United Kingdom Gunner 34696 Royal Field Artillery 30/01/1917 I. D. 27. United Kingdom Serjeant 98 Argyll and Sutherland Highlanders 23/05/1915Age: 24 I. A. 22. United Kingdom Serjeant 619 Highland Light Infantry 06/01/1915 II. F. 8. United Kingdom Private 3009 Irish Guards 14/01/1915Age: 30 I. A. 5. United Kingdom Serjeant 10333 Highland Light Infantry 06/06/1915 II. D. 27. United Kingdom Corporal 1336 Highland Light Infantry 15/06/1915 II. D. 23. United Kingdom Corporal 48440 Royal Field Artillery 10/03/1915 I. B. 11. United Kingdom Private 2627 Black Watch (Royal Highlanders) 25/09/1915Age: 31 II. D. 10. United Kingdom Private 7894 South Staffordshire Regiment 18/05/1915 I. A. 21. United Kingdom Second Lieutenant The King's (Liverpool Regiment) 16/05/1915 II. E. 6. United Kingdom Private 17223 North Staffordshire Regiment 10/10/1915Age: 20 I. D. 6. United Kingdom Private S/11010 Cameron Highlanders 03/04/1915 I. C. 5. United Kingdom Private 12902 Gloucestershire Regiment 13/12/1915Age: 29 I. C. 17. United Kingdom Private S/15230 Cameron Highlanders 03/04/1915Age: 27 I. B. 6. United Kingdom Lance Corporal 2113 London Regiment (Royal Fusiliers) 26/04/1915 I. A. 3. United Kingdom Lance Corporal 12699 Cheshire Regiment 16/04/1916 I. C. 21. United Kingdom Private 4939 Royal Sussex Regiment 30/06/1916 I. F. 10. United Kingdom Private 14539 Lancashire Fusiliers 24/03/1916 I. C. 20. United Kingdom Private 26315 Lancashire Fusiliers 10/06/1916 I. F. 8. United Kingdom Private 13465 Coldstream Guards 01/02/1916 II. B. 9. United Kingdom Private 1380 Royal Sussex Regiment 09/05/1915 I. D. 15. United Kingdom Gunner 947716 Royal Field Artillery 19/02/1917 I. F. 26. United Kingdom Bombardier 62682 Royal Horse Artillery 17/05/1915 II. F. 18. United Kingdom Lance Corporal 2230 Argyll and Sutherland Highlanders 23/05/1915Age: 26 I. A. 22. United Kingdom Private 25661 Devonshire Regiment 20/12/1916 I. F. 17. United Kingdom Private 17464 Gloucestershire Regiment 14/10/1915Age: 21 I. D. 14. United Kingdom Private 2613 Argyll and Sutherland Highlanders 23/05/1915Age: 24 I. A 22. United Kingdom Private 780 Highland Light Infantry 08/08/1915 II. D. 22. United Kingdom Private 11414 The King's (Liverpool Regiment) 12/10/1915 II. E. 44. United Kingdom Serjeant 9684 Black Watch (Royal Highlanders) 10/05/1915 I. D. 15. United Kingdom Corporal 2309 London Regiment (London Scottish) 06/05/1915Age: 30 II. F. 7. United Kingdom Lance Corporal 796 Black Watch (Royal Highlanders) 07/05/1915 II. E. 4. United Kingdom Private 10075 The King's (Liverpool Regiment) 12/10/1915 II. E. 43. United Kingdom Second Lieutenant Worcestershire Regiment 20/09/1918 I. D. 3. United Kingdom Private 28774 Cheshire Regiment 15/04/1916Age: 33 I. B. 22. United Kingdom Private 1395 Irish Guards 10/01/1915Age: 32 I. A. 13. United Kingdom Private 2230 Black Watch (Royal Highlanders) 05/02/1915 II. F. 11. United Kingdom Private 12948 Middlesex Regiment 19/12/1914 II. F. 14. United Kingdom Private 7274 King's Own Yorkshire Light Infantry 22/10/1914Age: 32 II. C. 39. United Kingdom Lance Corporal 26482 The King's (Liverpool Regiment) 05/10/1915 II. D. 42. United Kingdom Private 4480 Argyll and Sutherland Highlanders 25/05/1915 I. A. 24. United Kingdom Private 8820 Coldstream Guards 11/04/1915 I. B. 12. United Kingdom Private 7095 Middlesex Regiment 18/12/1914 II. F. 12. United Kingdom Rifleman 2309 London Regiment (First Surrey Rifles) 10/04/1915Age: 19 I. C. 7. United Kingdom Corporal 8481 Leicestershire Regiment 25/09/1915 II. D. 45. United Kingdom Private 25112 The King's (Liverpool Regiment) 07/10/1915 II. E. 50. United Kingdom Private 12086 Gloucestershire Regiment 14/10/1915 I. E. 14. United Kingdom Private 7314 South Staffordshire Regiment 17/05/1915Age: 31 I. C. 11. United Kingdom Lieutenant Hertfordshire Regiment 11/01/1915Age: 27 I. B. 13. United Kingdom Private 11840 Worcestershire Regiment 18/11/1914Age: 22 II. E. 47. United Kingdom Private 704 Suffolk Regiment 16/05/1915Age: 24 II. E. 54. United Kingdom Private 12044 Gloucestershire Regiment 15/12/1915Age: 24 I. E. 20. United Kingdom Private 9308 South Staffordshire Regiment 12/11/1915 II. E. 46. United Kingdom Lieutenant Lancashire Fusiliers 11/06/1916Age: 23 I. F. 7. United Kingdom Private 6565 Worcestershire Regiment 13/03/1915 II. B. 41. United Kingdom Lieutenant Royal Berkshire Regiment 15/05/1915Age: 26 I. A. 17. United Kingdom Private 17550 Gloucestershire Regiment 13/12/1915 I. D. 19. United Kingdom Private 1653 Suffolk Regiment 09/05/1915 II. E. 51. United Kingdom Private 19608 Cheshire Regiment 01/05/1916 I. D. 23. United Kingdom Rifleman R/7160 King's Royal Rifle Corps 14/05/1915Age: 20 II. E. 13. United Kingdom Private 25689 The King's (Liverpool Regiment) 28/05/1915 II. D. 38. United Kingdom Private 22118 Cheshire Regiment 30/04/1916Age: 23 I. E. 24. United Kingdom Private 19519 Cheshire Regiment 21/04/1916 I. C. 22. United Kingdom Private 15712 Grenadier Guards 10/01/1915Age: 21 I. A. 8. United Kingdom Corporal 8915 Royal Berkshire Regiment 16/05/1915 I. B. 14. United Kingdom Corporal 21145 Cheshire Regiment 27/04/1916 I. C. 23. United Kingdom Private 3270 Lincolnshire Regiment 18/11/1915Age: 47 II. D. 41. United Kingdom Captain (The Hon.) King's Royal Rifle Corps 09/05/1915Age: 30 I. E. 8. United Kingdom Private 313 Argyll and Sutherland Highlanders 23/05/1915Age: 32 I. A. 22. United Kingdom Lance Corporal 10101 Sherwood Foresters (Notts and Derby Regiment) 31/01/1915 II. F. 27. United Kingdom Serjeant 10770 The Loyal North Lancashire Regiment 26/03/1915 II. F. 3. United Kingdom Private 2292 Lincolnshire Regiment 19/11/1915 II. D. 36. United Kingdom Private 14170 Lancashire Fusiliers 13/03/1916Age: 22 I. B. 21. United Kingdom Private 17427 North Staffordshire Regiment 10/10/1915Age: 24 I. E. 7. United Kingdom Private 6478 Leicestershire Regiment 29/10/1915 I. E. 17. United Kingdom Private 1864 Suffolk Regiment 09/05/1915Age: 21 II. E. 52. United Kingdom Gunner 11940 Royal Garrison Artillery 16/05/1915 I. E. 11. United Kingdom Private 9010 Highland Light Infantry 17/06/1915 II. D. 28. United Kingdom Private 2008 Lincolnshire Regiment 28/11/1915Age: 18 I. C. 16. United Kingdom Bombardier 24244 Royal Garrison Artillery 16/05/1915Age: 32 I. E. 10. United Kingdom Captain Royal Marines 09/05/1915Age: 31 II. D. 37. United Kingdom Private 25110 The King's (Liverpool Regiment) 15/10/1915Age: 19 Edgware Road Cem. Mem. 2. United Kingdom Private 43204 Worcestershire Regiment 18/09/1918 I. E. 3. United Kingdom Private 6019 Argyll and Sutherland Highlanders 16/12/1916Age: 24 I. F. 15. United Kingdom Private 20494 Devonshire Regiment 20/12/1916Age: 21 I. F. 18. United Kingdom Private 3511 The Loyal North Lancashire Regiment 29/04/1915 II. E. 1. United Kingdom Private 14971 The King's (Liverpool Regiment) 17/10/1915 Edgware Road Cem. Mem. 3. United Kingdom Private 28252 Gloucestershire Regiment 06/12/1916 I. F. 14. United Kingdom Private 11471 Sherwood Foresters (Notts and Derby Regiment) 25/01/1915 II. F. 28. United Kingdom Private 13545 Middlesex Regiment 15/12/1914 II. F. 21. Indian Lieutenant Colonel 4th Gurkha Rifles 12/03/1915Age: 45 I. B. 8. United Kingdom Private 8288 South Staffordshire Regiment 18/05/1915 II. E. 7. United Kingdom Gunner L/1475 Royal Field Artillery 01/09/1916Age: 23 I. F. 11.